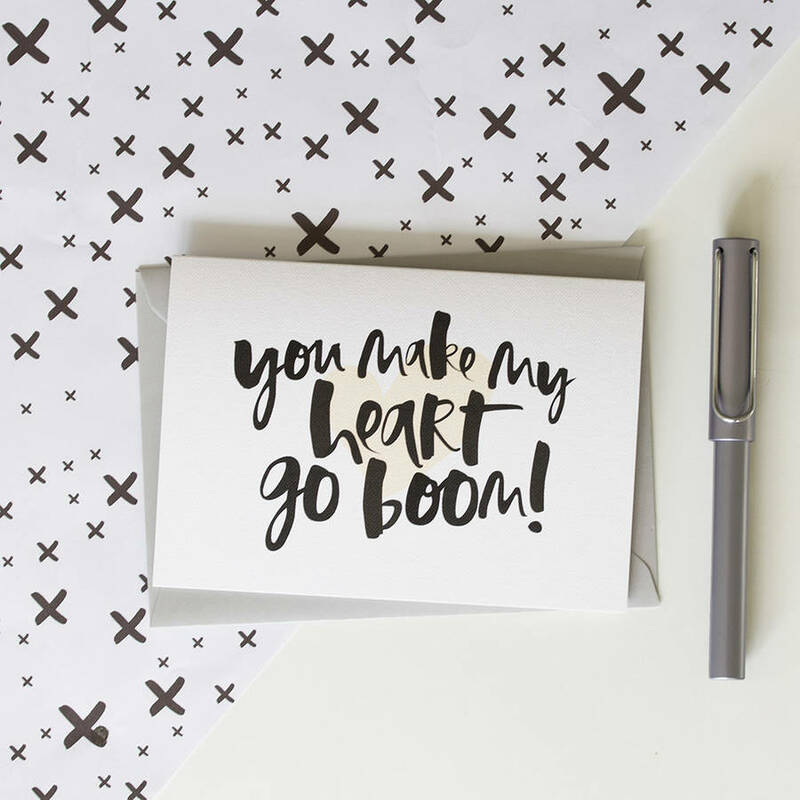 A unique and contemporary hand lettered greeting card for a special someone. 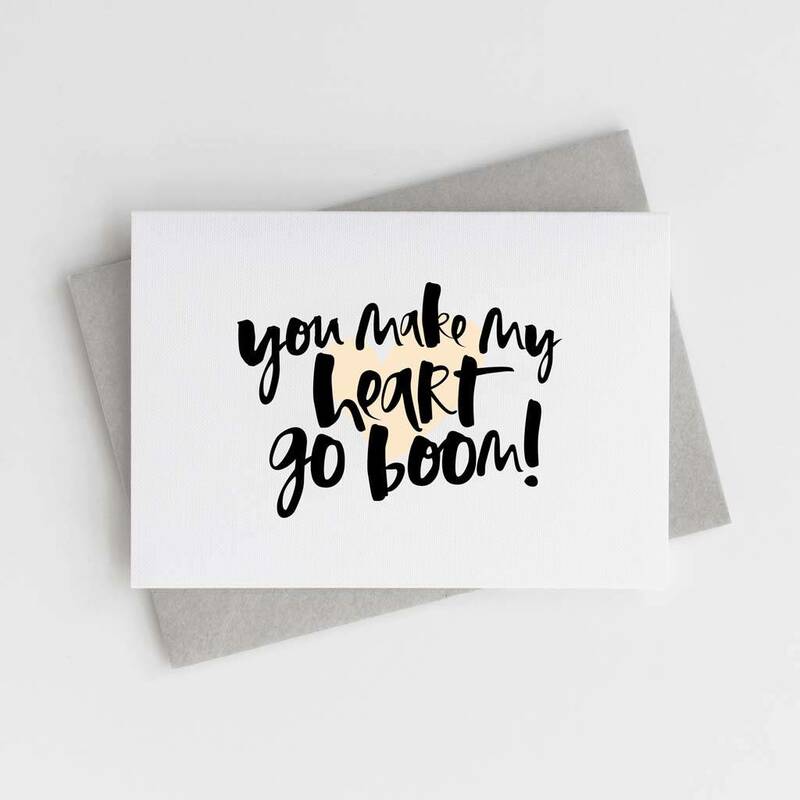 The perfect card to send to that special someone in your life this Valentine's Day. 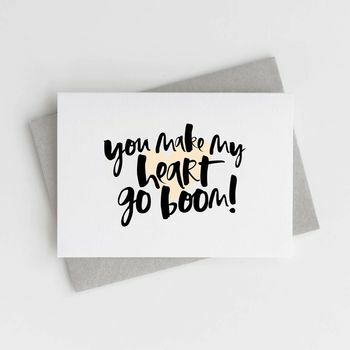 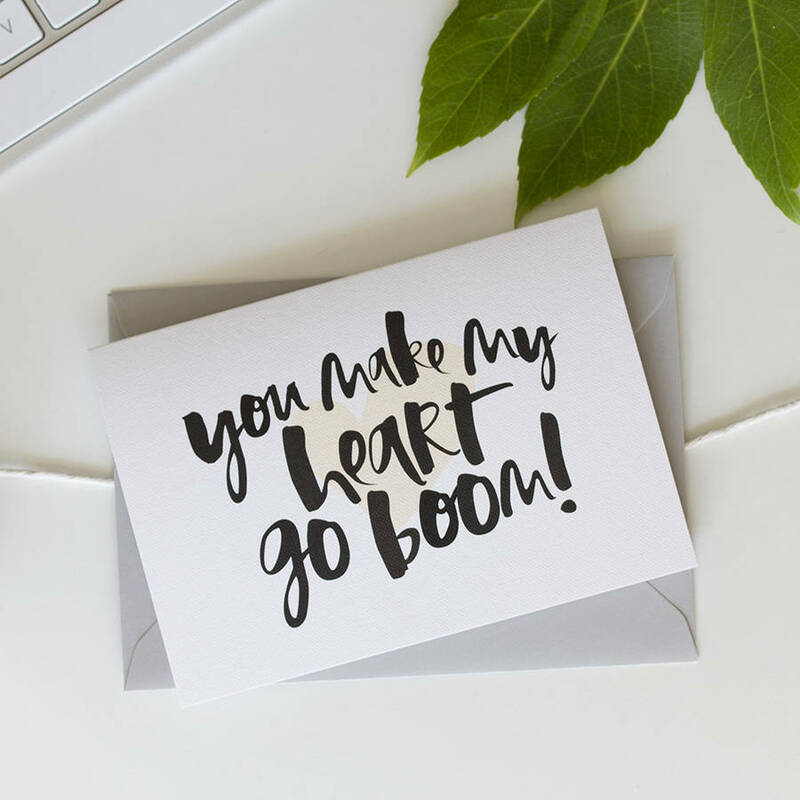 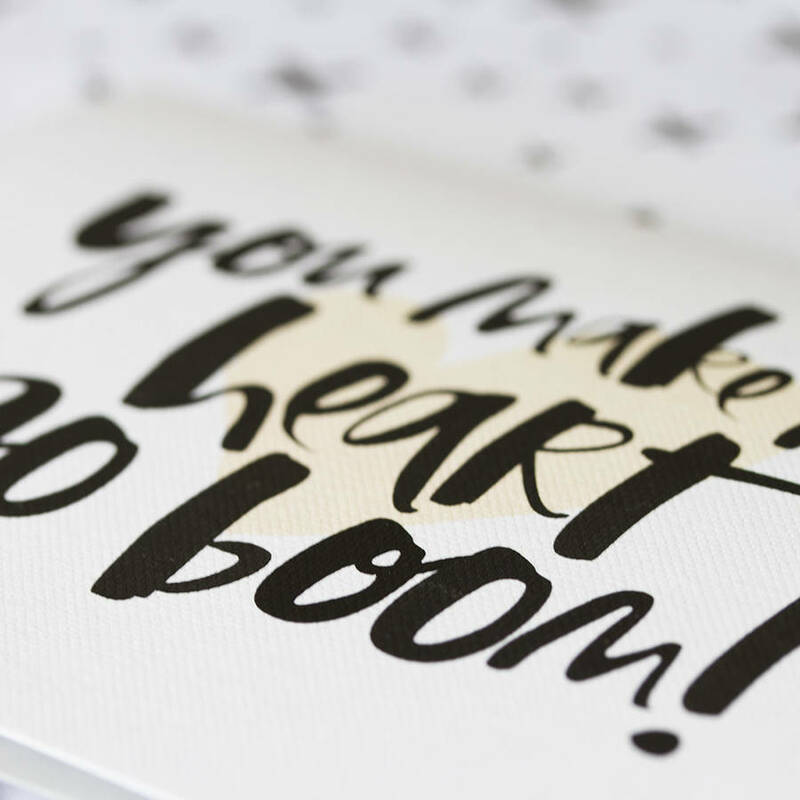 Written in our signature hand lettered font, the words 'You Make My Heart Go Boom' are printed printed on to the finest and extra luxurious FSC certified 350sgm textured card and teamed with our 'French Grey' envelope.